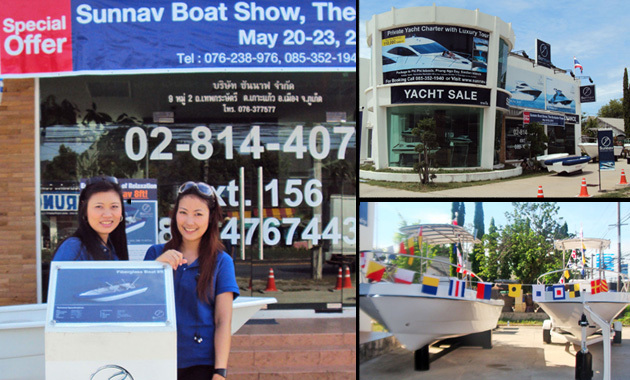 Sunnav held a Boat Show, the exclusive event at Sunnav Kho Keaw office, introduced with a new range of model 8ft a small fiberglass boat takes you to the islet and chill out, composited the particularly durable and light selected material. From our inspiration to the Sunnav 18ft model which is created for fishing lover on vacation, with the center console, fish locker, rod holder and other gear fit onboard, bimini which will protect you from the sun. You can assure that Sunnav have given all best concentration from our craftsmanship to take cared with the best service serves you as well.